I think nearly everybody has that one type of cuisine with which they are just not that familiar. For me, that is Thai food. It's not for lack of trying, but many of the dishes go beyond my spice tolerance and often I've found it difficult to get too adventurous because I just wouldn't have been able to handle the heat. 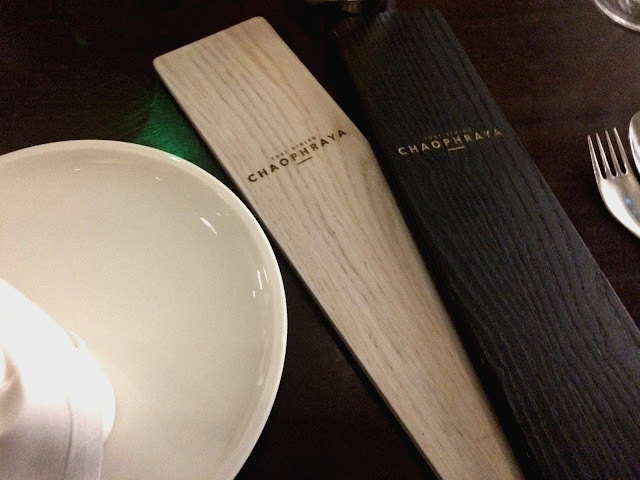 Chaophraya reached out to me about a week ago inviting me down to an evening dedicated to their new menu launch. Disappointed that I wan't able to make it on the night, I asked if I might be able to pop down (husband in tow) to sample the menu on another occasion. So on Saturday evening, Ryan and I found ourselves on a rather special date night in Liverpool One. The beautiful décor and sheer opulent feel of the restaurant was clear pretty much as soon as we stepped in to the restaurant. From the staff's stunning uniforms to the gilded gold statues and beautiful finishings. The styling of the venue really helped set the tone of the evening in a highly sophisticated way, even down to the simplistic and chic menu designs. I was filled with high hopes as we sat down ready to make the agonising decision of just what exactly to sample. Planning well ahead, and knowing that every time we take a trip to a restaurant, there's an agonising wait whilst I 'Oooh' and 'Ahh' over the menu, I had taken a sneaky peek online before heading out to eat. Thankfully this is where pregnancy works on my side as I was quickly able to eliminate things I couldn't have / contained things I knew I had lost my taste for. 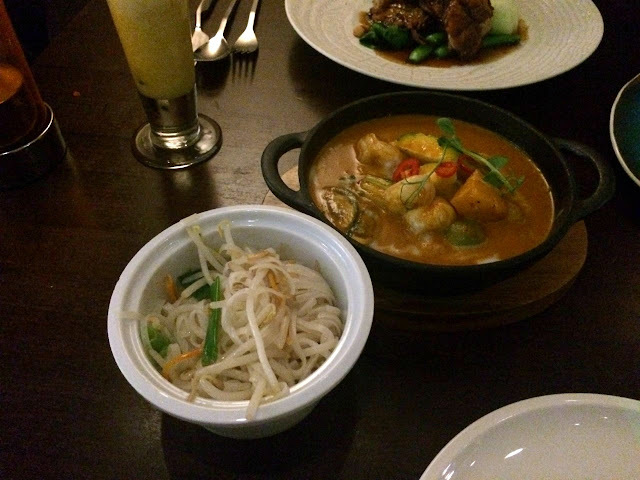 With this in mind, I ordered the Chicken Spring Rolls to start followed by the Duck Tamarind, whilst Ryan opted for the Steamed Dumplings with the Thai Red Prawn Curry as his main option. Aside from all the delicious choices from the food menu, I was delighted by the drinks menu too. Jam packed full of amazing sounding cocktails, wines, spirits and beers, there was also a choice of non-alcoholic cocktails and soft drinks - something which can be a rarity in restaurants, and something that has become a bit of a bugbear of late. 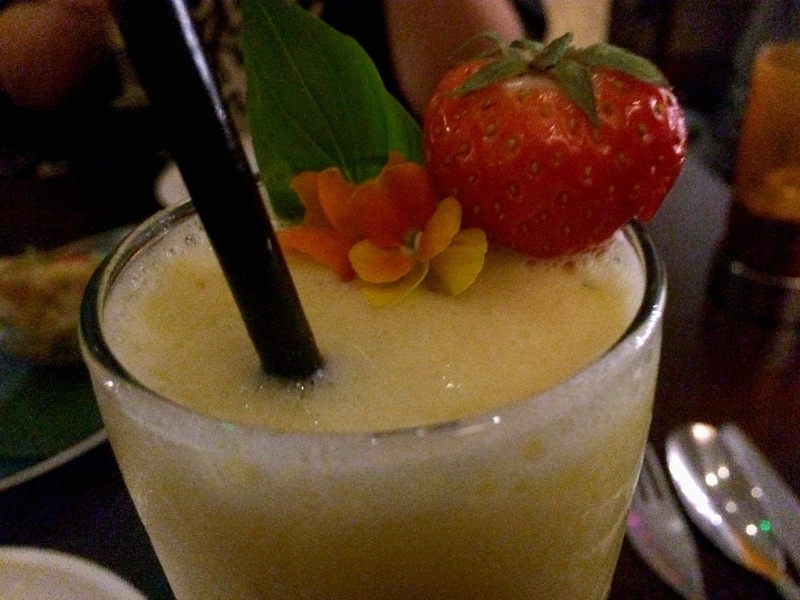 Not wanting to miss out on a fancy drink, I ordered a Tropical alcohol-free cocktail to sip alongside my meal. Now normally, I find the sizes of starters to be somewhat inconsistent. Some can be too big, making it impossible to enjoy a full three course dining experience, whereas others are teeny tiny, barely providing enough of a sampler to whet your appetite. 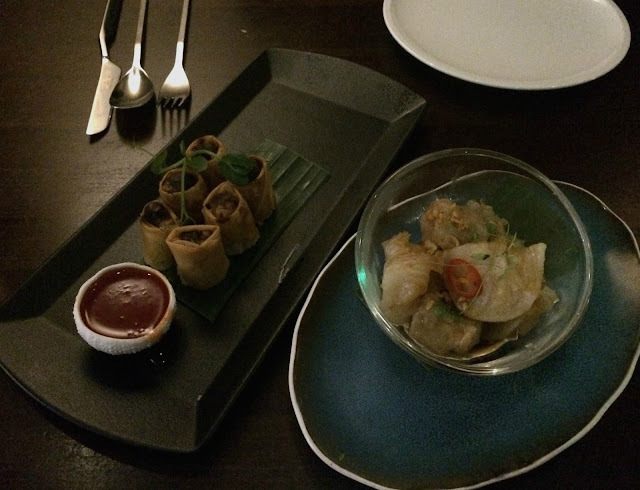 But our starters at Chaophraya were just right. Delicate, more-ish, and jam-packed full of flavour. 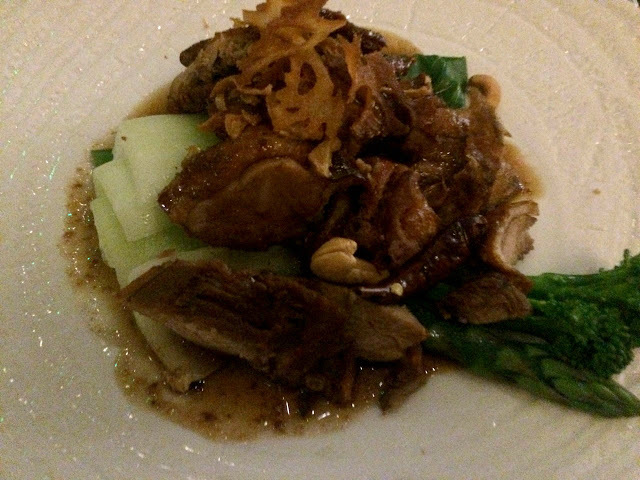 The presentation was also fabulous, which really played a big part in our enjoyment of the food. We definitely chose the right dishes to start off our meal, as neither of us were that willing to share the food, and mouthful after mouthful were gobbled up in record time. Our Tropical drinks, sweet and smooth, provided an excellent bit of relief as we took intermittent breaks to coo over how lovely the food was. Even though the restaurant was busy, the waiting time between courses was minimal. After a short wait after our starters, the mains were placed down in front of us. Again, our choices could not have been more perfect. As soon as the plates were on the table, a beautiful and fragrant aroma filled our nostrils and made our stomachs growl. My duck was a perfectly blend of beautifully crisp pieces and super succulent mouthfuls, and the accompanying sauce made the whole dish wonderfully balanced against the earthy qualities of the vegetables. And I was just as delighted with my coconut rice side (coconut rice is one of my favourites), which was busting with coconut flavour and really complemented the sweetness of my main. Ryan enjoyed his main course equally as much, and was happy to find that the prawns were rather generous in size. It was testament to the food that our conversation over dinner became less and less the more and more of the dishes we ate. Given time, I could have finished up every morsel, but knowing that there was a fair chance I may want to try out a dessert, I left just a little bit of space for a sweet. It didn't take long to decide what to have. 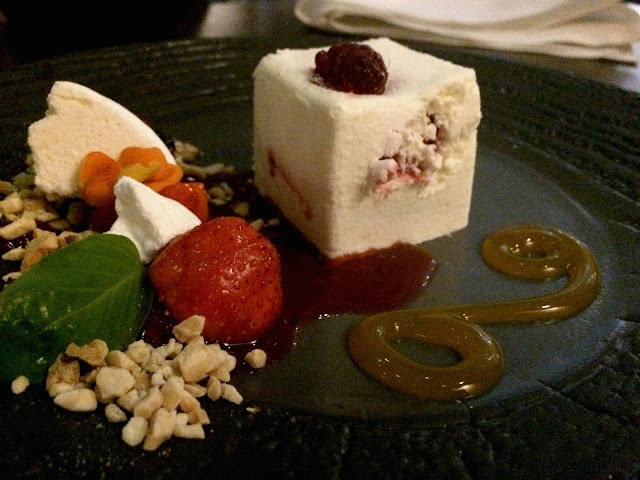 The one dish that instantly called out to me was the White Chocolate Box. I don't take desserts lightly, so trust me when I say that this pud was one of the most delicious that I've ever tasted. It cuts a close second to the Dark Chocolate And Raspberry Tears that Yukti offers. The mix of sweet white chocolate and the sharpness of the raspberry coulis inside were a match made in heaven, and it was incredibly difficult to share the dessert fairly with Ryan. The more I ate, the more I wanted, and if I had not been starting to get really full, I think I could easily have managed one on my own. 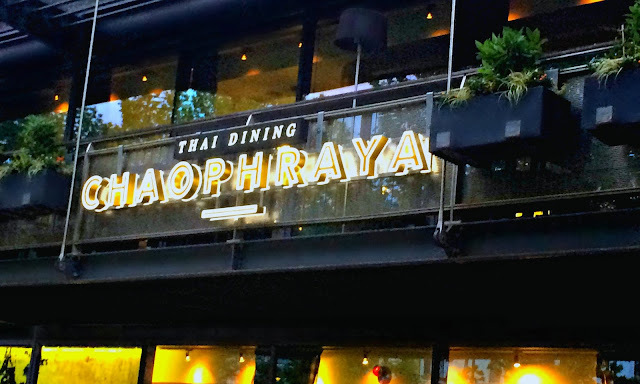 Going to Chaophraya really opened my eyes as to what Thai cuisine has to offer, With so many different choices on the menu, there is something for everyone, and you could happily go back again and again and try something different. It was one of the most sophisticated and opulent dining settings I have ever experienced, and I'm already looking forward to heading back again! * I was very kindly gifted a free meal at Chaophraya for myself and Ryan (thank you so much guys). This in no way influences my opinions. They are always 100% honest and guided by my experiences and taste buds.